It's January and that means it's TIME FOR LAX! Ready?.. Go! 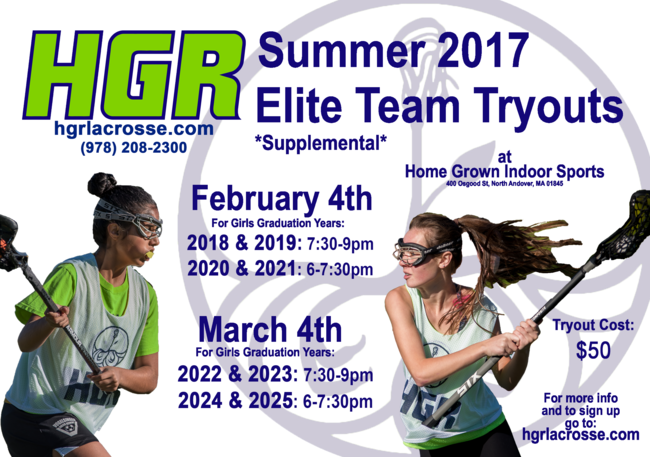 LAX TO-DO #1: HGR Girls Elite is holding Summer Team Tryouts on Feb. 4th for HS players, and on March 4th for JV/Youth players. Join the fastest growing girls club in N.E. and find out about "HGR Pride." All players get 12 summer practices, 4 tournaments, sweet HGR gear/bags AND personalized recruiting counseling (from college coaches and former D1, 2 & 3 players) - and *NEW for 2017 GAME FILM (2 tourneys) for all HS players. See below for tryout details and sign up today! Sign up today for HGR Girls Elite tryouts! 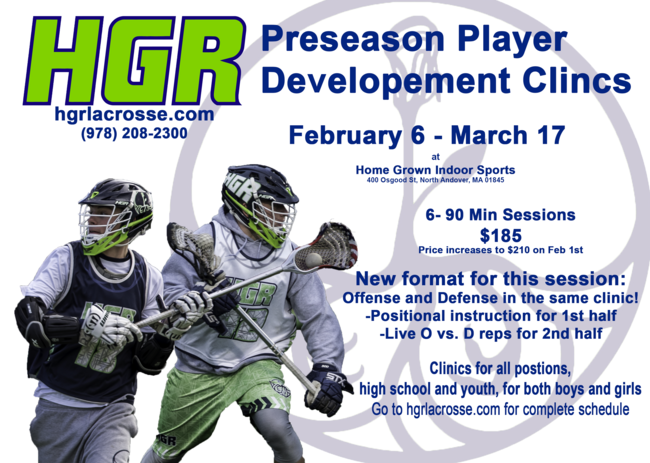 LAX TO-DO #2: HGR Lacrosse's Pre-Season Player Development (PDC) Clinics - Session #5 start the week of Feb. 6th! Small group session clinics are offered for Girls HS & Youth players (by position) and are coached by our HGR Girls Elite coaches. These clinics are a perfect opportunity to prepare for your upcoming lax season/tryouts and sharpen your stick skills. See below for HGR skills clinic details and sign up today! Sign up for HGR Girls Clinic #5 - Preseason Skills/Tune-up! We hope to see you on Feb. 4th for 2017 HGR Girls Elite Team Tryouts and on Feb. 6th for PDC Skills Session #5! It's TIME FOR LAX! And this season is going to be HUGE!! Good luck and have fun. (Feel free to share this email with lax teammates, friends or family). 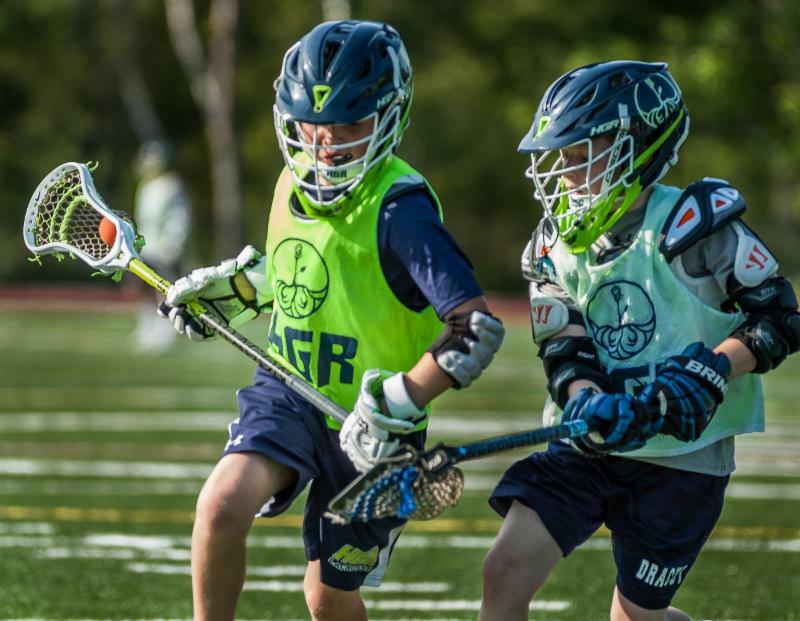 Our player development clinics are designed to improve a player's individual skills sets and lacrosse IQ at a rapid rate. Players will be grouped by like ability, age and positions to ensure their rate of progression is maximized. 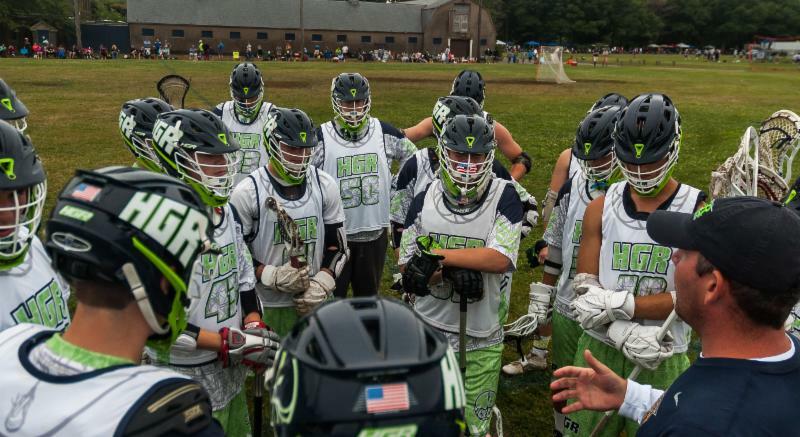 At team practices the focus has to be on team systems: 6v6 offense and defense, rides and clears, man up and man down. By the nature of these practices the individual's fundamentals cannot be addressed in the detail required to produce big gains in their skill sets. These clinics will do just that. We will focus on everything from shooting form to reading a slide package for offensive players, approach angles to how and when to throw stick checks for defensive players and pipe positioning to footwork for goalies.